Back in April, just before I started back to work, Madelynne auditioned for her first big play at our local community theatre. Previously she had made a name for herself in our small community as a the “flying sheep of Bethlehem” during a church Christmas muscial and “that littlest fishie” at my school production of Seussical. So, we thought she was ready for a challenge. A “real” theatre where they charge more than $5 for tickets and close out their season every year with a big summer musical. So, for the past three months, we’ve been on an extended vacation in Oz. 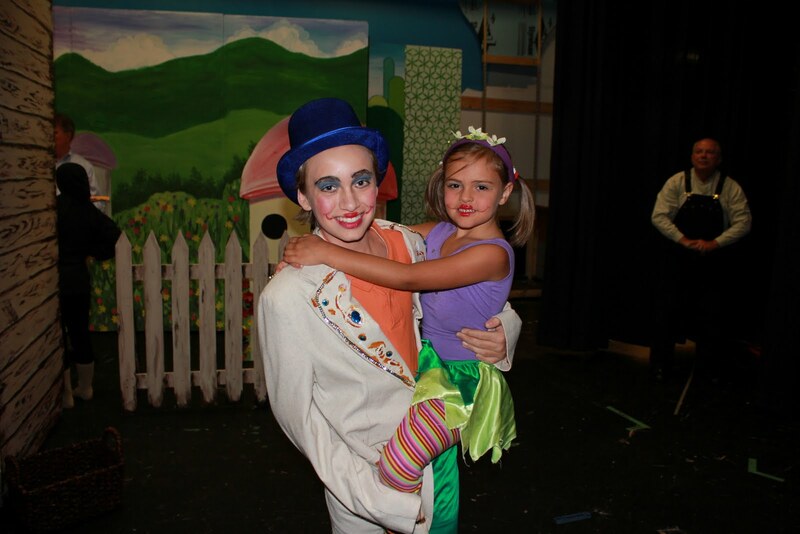 And since for us theatre has always been a family affair, everyone was there, including Amelia who has learned to cackle almost as well as the Wicked Witch! The show was directed by my friend Paula, whom I direct with at school. Originally, I was also supposed to help direct Oz, but a certain small person got in the way 🙂 I did, however, loan her my husband and all his lighting and special effect expertise, and although he couldn’t employ pyrotechnics (fire chief shot him down), he still managed to make the Witch disappear in a puff of smoke and, most nights, the Scarecrow “caught” fire. 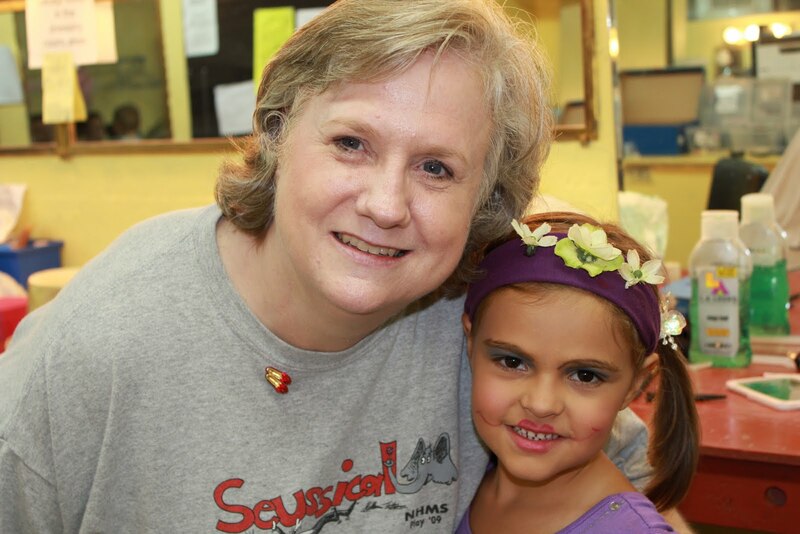 I also helped her find more help by having the most awesome long-term sub ever who, even though she’s definitely not paid for this, was more than happy to stick around and help Paula corral this cast of 50+ that was mostly kids! And most nights I was on hand for whatever randomness might be needed: going to the dungeon to help the Witch melt, smearing on (and then taking off) lots of stage makeup, and hanging out backstage so Paula could enjoy the show. But the real joy of the show was seeing it through the eyes of my children. I’m not sure if Annabelle will ever look at our friend Kristy the same again, since she’s pretty convinced Kristy really is the Wicked Witch. 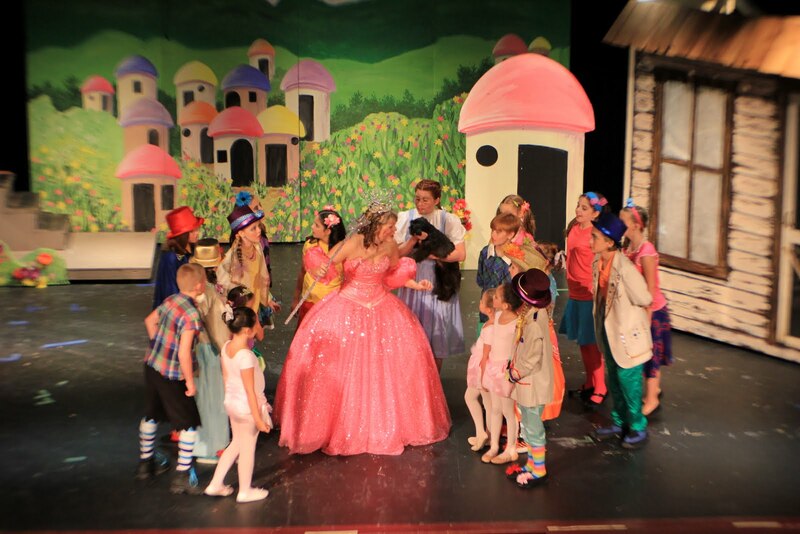 And though I admit to being a little tired of listening to the music every time we get in the car, I love that Madelynne can sing (and act out) every line of the Munchkin scene including impersonating the kid who played our Munchkin Mayor. This show was a reminder to me that live theatre is magical. Unlike movies that are edited for their best performance and are, therefore, the same everytime, you never know what you might get with theatre. Every show is different and at any moment a hundred factors can affect the energy, the polish, the magic of the actors and the tech. It’s creating something that can never be re-created exactly the same. Unique and special. Like my sweet girls, who I hope found this experience down the yellow brick road as magical as I did. No those girls will never look at me the same for sure. Bless her heart, tell her I don't plan on ever being green again unless I get paid to be the Wicked Witch again! 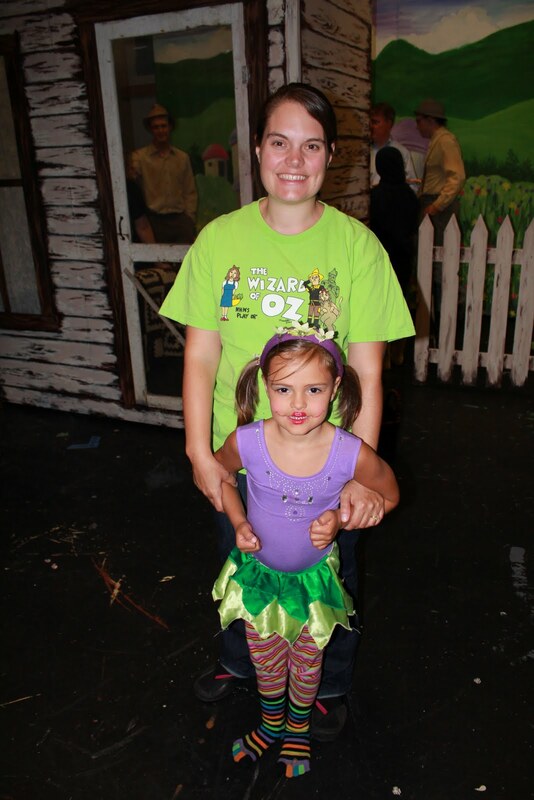 We loved the Wizard of Oz. My boys sat still through the whole thing (except for when they RAN to be first in line for cookies at intermission). It was great!